"Some scars are too deep to ever heal," Leah Gabriella Allen whispered in hushed anguish. The orphaned young woman knows all too well about scars - exposed as well as hidden deep within. Gabriella naively falls in the thorny arms of the abusive Brent Sadler. The constant bruise of cruelty is ever present in their ten years of marriage. One last momentous beating ends with two deaths and changes Gabriella's life forever. 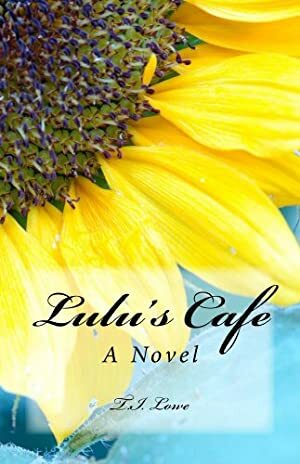 She stumbles away within an inch of her own life and begins a journey to an unexpected southern home which is none other than Lulu's Café, where she tries to mend her severed spirit. Lulu is the petite charismatic southern belle, who wisely takes on the challenge of helping the young woman heal. She enlists the support of the enchanting southern gentleman, Crowley J. Mason IV, whose ocean blue eyes seem to hypnotize Leah (as they know her) from the start. Leah is an unwanted stranger in Crowley's quaint southern town of Rivertown, South Carolina. He holds her at arm's length as he tries to decipher the mystery of her recent past, but before the young lawyer realizes it, he finds Leah tucked protectively in his arms. He wants nothing more than to help her heal... if she would just trust enough to let him in. We started tracking this book on February 26, 2016. The price of this book has changed 8 times in the past 1,150 days. The current price of this book is $6.22 last checked 5 months ago. The highest price to date was $6.22 last reached on March 22, 2018. This book has been $6.22 2 times since we started tracking it. We last verified the price of this book about 5 months ago. At that time, the price was $6.22. This price is subject to change. The price displayed on the Amazon.ca website at the time of purchase is the price you will pay for this book. Please confirm the price before making any purchases.